It’s perfectly logical and natural to me that kids these days look up to us older bikers and want to become like us or one of us. But let me tell you, it’s not that simple. I’ve spent the last 50 years of my life committing to this lifestyle, perfecting it, growing into it, changing myself repeatedly and constantly, always learning new things. And I don’t just mean learning new things about bikes and that tech stuff. I mean things about life in general. Because being a biker is more than just riding a bike. 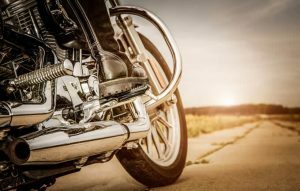 What Does it Mean to Be a Biker? Like I said, being a biker is more than just owning a sweet ride. It doesn’t even have to be that good of a ride. As long as it’s a motorcycle that can run fast, it’s cool. But more importantly, being a biker comes from the inside. You have to learn a lot of things about the lifestyle, the culture, the camaraderie. Because that’s precisely what it’s all about – being part of a group bigger than yourself and learning your place in it. In a way, a biker gang is like a metaphor for the world itself. You do your thing in the group but you still depend on the group and follow its rules and ways. There’s the leader, too, because people need leaders. But I’m getting sidetracked here. What I wanted to say is that you can’t just buy a Harley, shave your head and grow your beard, put on a leather jacket and some mean boots and become a biker. There’s so much more to it than that. The ride itself is very important. You can ride in a gang or you can ride alone, but you absolutely have to feel the need to ride. Aimless rides, rides that you simply can’t resist, rides to vent, to think, to cool off, to get hyped, to watch the world around you, these are the best rides. If you really feel those rides, then you probably have what it takes to become a true biker. 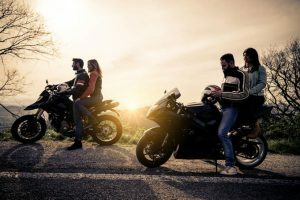 Of course, riding with your gang is just as satisfying, maybe even more so, because the biker culture is not a culture of isolated men, lone wolves. It’s a group culture and all the most important things related to riding happen within the group. You go to events together and you take long cross-country rides together, you even travel abroad. But you also have cook-outs with your family, you do some charity work, participate in rallies for goals you believe in, and so on. Your gang brothers are the closest people to you, after your family. In a way, they are your family, an extended one. A fellow biker is always your brother. It depends on what kind of biker you want to become. I certainly hope you don’t intend on becoming a member of an outlaw biker gang because some of the things they do are illegal and many of them are wanted by the law. On the other hand, if you just want to ride a chopper and enjoy the lifestyle with some fellow bikers around you, then I wholeheartedly encourage your decision. First of all, you will, of course, need a motorcycle. My advice is – don’t get a Harley right away. Get a cheaper, used motorcycle and ride it as much as you can, as often as you can. Get out in all sorts of weather and ride on different kinds of roads, just to get a feel of it. And then, after you fell off it for like ten times and after you learned from your own experience how important it is to wear a helmet, and after you fixed that old ride with your own hands, only then look into getting a proper, real chopper. You will probably need to get a few items of clothing and gear too. Not that it’s the most important thing, but you don’t want to look silly on your sweet, mean ride in golf pants and a plaid shirt or something. 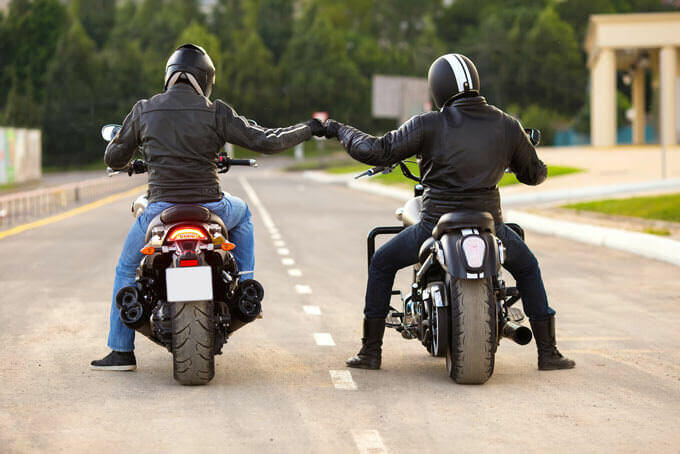 You want to look like a real biker, so go out, get a good leather jacket, some heavy duty boots, some patches (but remember that you are not allowed to wear gang colors unless you have been formally accepted as a member of a given gang) and a bandana. Grow your beard if you can, and shave your head too. Next, find out where real bikers hang out. Not the poseurs, the real guys. Ask around, don’t be shy. Real bikers most likely don’t hang in your favorite downtown fancy bar. In fact, they definitely don’t. Bikers rarely hang in places other people also frequent. We prefer isolated, distant bars, often on the outskirts of town or in the shady parts of the city. Those holes in the wall look pretty horrible from the outside, and they usually don’t look too pretty on the inside either. You will know such a spot from a long line of rides parked outside, loud music playing from the jukebox and an occasional beer glass being thrown through the window. Well, that last part doesn’t happen that much but the choppers and music bit is all true. Try befriending a couple of guys by offering to buy them beer. They will probably think you’re a cop or something, and they will be harsh to you. Don’t let them scare you, though, bikers are regular guys who are just a bit suspicious about folks they don’t know. It would help if you knew someone in a biker gang or someone who often rides in a group. That would be ideal because that person could introduce you to their circle and you’d instantly be accepted as their peer (if they perceive you as genuine, of course). Another option is to go to some of the biker websites, maybe even a biker dating website. I know a lot of younger guys who spend a lot of time on those websites. I myself am a happily married man and those days are long behind me, but I know plenty of dudes who are trying to meet chicks online. You can register to one of those websites, see how they work, feel the crowd and befriend a couple of guys. Ask them about when and where they ride and ask to join them. Attitude counts for everything. A biker always needs a real strong attitude, which means you don’t take any lip from anyone. You don’t want to be aggressive or confrontational, but when called out or provoked, you need to react and you need to be able to defend yourself. With proper attitude, you won’t even have to because no one will dare confront you. Be kind and polite, especially to ladies, kids and the elderly. A biker is like a soldier, he needs to be at service of those in need. Just because you’re a mean biker doesn’t mean you have to be rude and aggressive. In fact, many of my biker brothers are beloved and appreciated in their communities. They help in soup kitchens, shove the snow in the winter for the seniors, help the kids through Big Brother programs and so on. Common human decency is one of our core values. Learn to fight. Hopefully, you won’t need to, but just in case. Learn the lingo. If you don’t understand the basic bikers slang, no one will ever take you seriously. Be loyal. If you are going to be part of a biker gang, loyalty is the number one rule you have to remember. Every group has a leader and that leader is your king and you are his soldier. Even if you are not going to be part of a gang in the traditional sense, you still have to be loyal to your biker brothers.